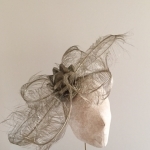 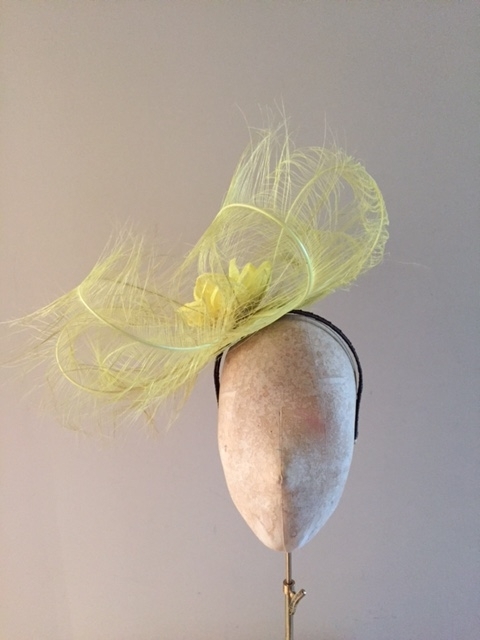 Large fascinator made of ostrich feathers with a sinamay flower center. 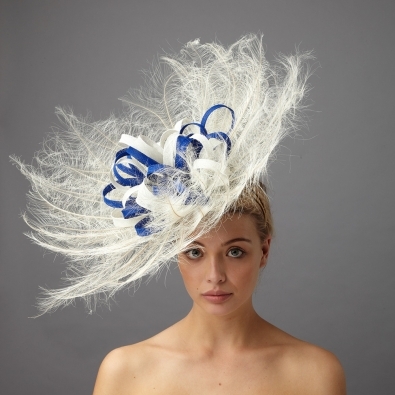 The Clapham fascinator is a large yet delicate fascinator comprising of burnt ostrich feathers in a dish design with a sinamay flower center on a small 11cm base. 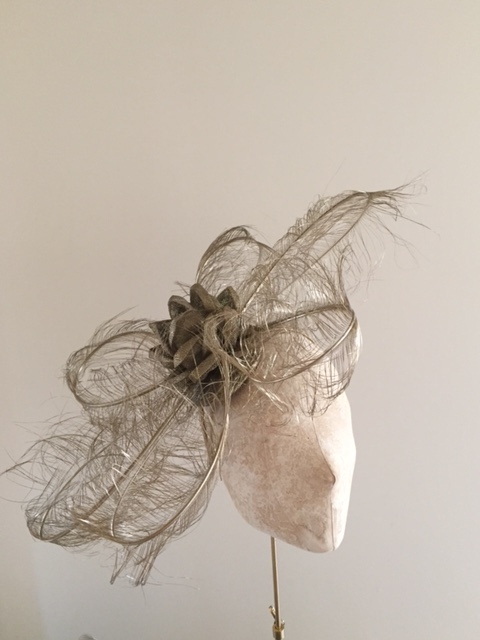 Available on a comb or band. 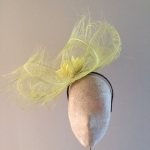 This can come in any colour from the colour chart, please select from the drop down menu.